Discover one of Chicago’s hidden gems, the idyllic Alfred Caldwell Lily Pool in Lincoln Park, our 175 Days to Love Chicago pick for Monday, June 18. An exhibition curated by Chicago’s Cultural Historian Tim Samuelson gives new insight into the early period of architect Frank Lloyd-Wright’s Career. Opening June 22, Wright’s Roots is our latest 175 Days to Love Chicago pick! Feel this architecturally rich late-19th century industrial community come to life on the docent-led Historic Pullman Walking Tour, and you’ll witness an important part of Chicago history. Next stop Pullman for our 175 Days to Love Chicago pick for Sunday, May 6. Celebrate the creation of one of the tallest buildings in the United States! Thursday, May 3, is Willis Tower’s 39th birthday, and it’s our loftiest 175 Days to Love Chicago pick yet. Mingle over drinks and explore Frank Lloyd Wright’s modern architectural marvel at April After Hours at Robie House, our 175 Days to Love Chicago pick for Friday, April 13th. Celebrate 175 years of Chicago history at Chicago’s Demisemiseptcentennial Exposition (that’s a fancy way of saying 175th anniversary!) 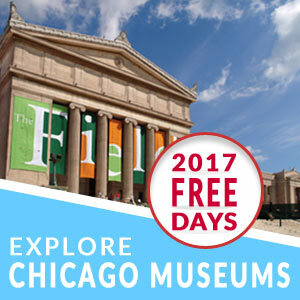 in the City Gallery in Historic Water Tower on the Magnificent Mile, our 175 Days pick for March 14! Listen in as Lynn Osmond, President and CEO of the Chicago Architecture Foundation, lays out a few of the many ways that Chicago’s manmade masterpieces and master plan for city development have inspired architects and cityscapes around the world. South Shore Cultural Center As Commissioner of the Department of Cultural Affairs and Special Events, Michelle T. Boone lives and breathes Chicago. We asked her to share just a few of her favorite ways to enjoy the city she loves. 7 Things to Do In...Hyde Park! © 2009 TypeBased. All Rights Reserved.